B.A. 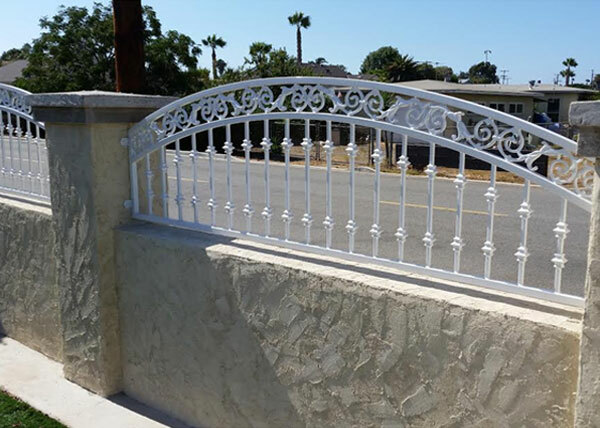 Ramirez & Sons Ornamental Iron Works, Inc. is the best choice for iron work in Pacific Beach. 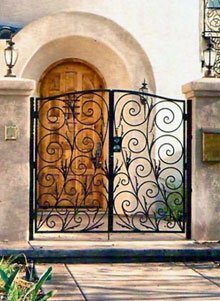 We've been in business since 1980 and have decades of experience designing, crafting, and installing beautiful iron fences, gates, railings, doors, and window guards. We work with both commercial and residential customers throughout the San Diego County area, including the Pacific Beach community. With our expertise, we are also experts at repairing and replacing damaged or deteriorated iron fences, gates, doors, and railings in Pacific Beach and beyond. We offer highly personalized service and custom design all of our iron fences, gates, doors, window bars, and railings to fully meet, if not exceed, each client's functional needs and aesthetic preferences, while staying within a pre-approved budget. By choosing B.A. Ramirez & Sons for your iron work needs in Pacific Beach, you can trust that we will adhere to only the highest standards of quality, service, and professionalism. We stand by all of our iron fences, gates, doors, window guards, and railings with written guarantees and work hard to protect the integrity of each worksite at all times. We are licensed, bonded, and insured, and we comply with all building codes. Call us today and discover why we are the best value in custom ornamental and wrought iron work in Pacific Beach. Online estimates are free, and we provide on-site consultations at no charge. Over the last 35 years, B.A. 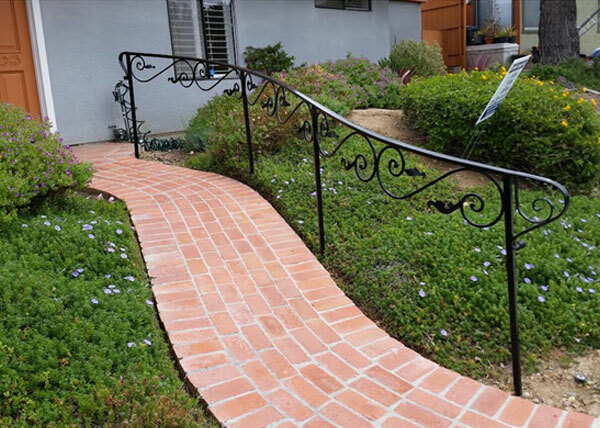 Ramirez & Sons Ornamental Iron Works, Inc. has served thousands of satisfied commercial customers throughout San Diego County. 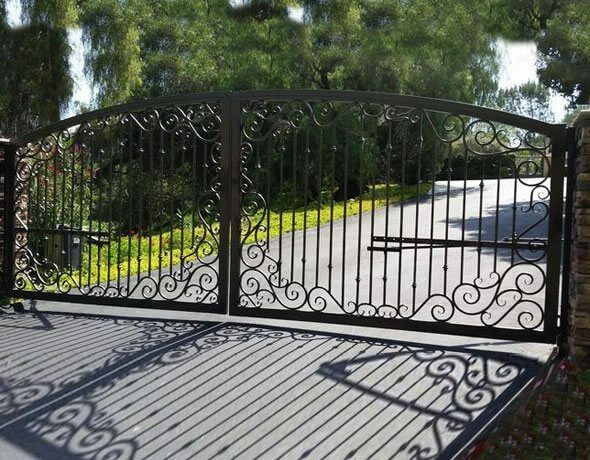 We enjoy a very loyal client base in and beyond Pacific Beach and are experts at creating wrought iron and ornamental iron fences, gates, railings, doors, and window guards at cost-effective prices. 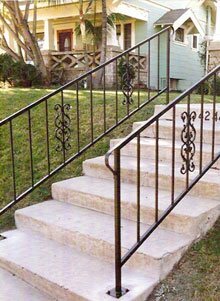 Whether you need an iron fence to delineate your property's perimeter or new handrails that comply with current ADA standards, we will design your iron work to fully meet your needs, without sacrificing your building's beauty. Call today and learn more about our commercial iron work for Pacific Beach. Whether you want to improve the security of your home or wish to find a cost-effective way to renovate the look of interior stairs, call B.A. 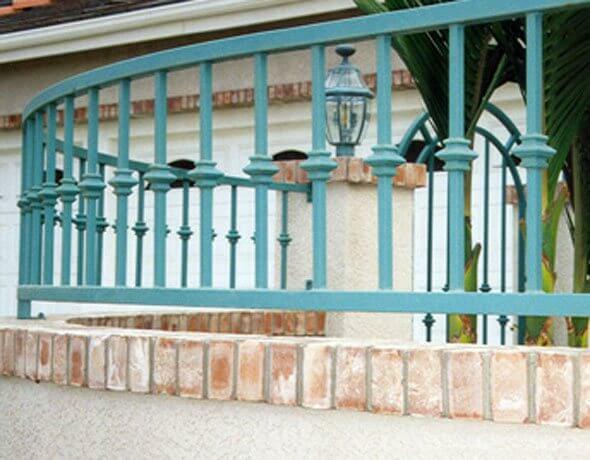 Ramirez & Sons Ornamental Iron Works, Inc.. We offer Pacific Beach's best value in residential iron work. Our customers can always count on us for expert craftsmanship, honest advice, and fair prices. With more than 30 years of experience, we know how to craft custom-designed and beautifully-crafted iron fences, gates, railings, doors, and window guards. We can hand forge decorative scrolls, integrate ornamental castings, and apply protective treatments (such as metallization or hot-dipped galvanization). We have access to hundreds of powder coat finish colors and can custom match your favorite color using a sprayed-on, epoxy liquid finish. All iron work is welded in house and then grinded, sanded, and buffed to achieve a gorgeous finish. 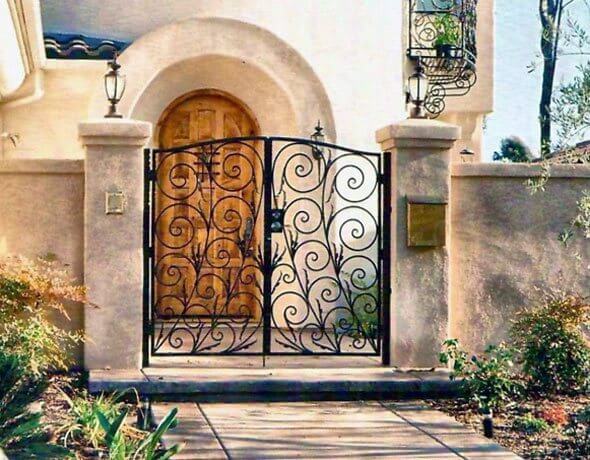 Call today and join our thousands of residential clients throughout San Diego County, including Pacific Beach, who count on us for beautiful, functional iron fences, iron gates, iron window guards, iron screen doors, and iron hand rails. If you're looking to instantly upgrade the look of your Pacific Beach stairs, balconies, and/or walkways, then contact B.A. Ramirez & Sons Ornamental Iron Works, Inc.. We will custom-design and install the perfect solution for your iron railing needs, no matter what size or type of railing you are looking for. 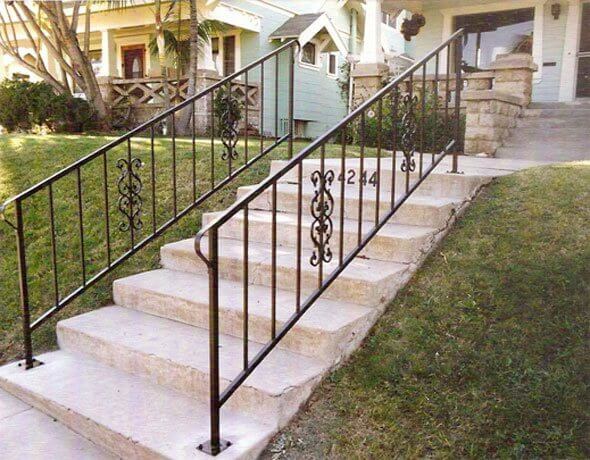 Our iron handrails, railings, and guardrails can be modified to suit your unique aesthetic preferences. Railings can include artisan scrollwork, decorative balusters with knobs, baskets, or collars, wood or iron top rails, stylish rail caps, cast iron designs, and more. All ironwork is made to comply with current building codes and can also be designed to meet ADA standards. Trust B.A. 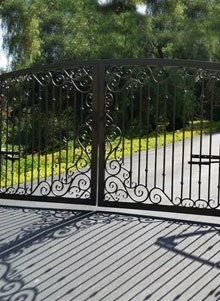 Ramirez & Sons Ornamental Iron Works, Inc. to expertly design and install your Pacific Beach iron pedestrian, driveway, or automated gate. Our highly skilled, experienced craftsmen pride themselves on adhering to the highest standards of quality workmanship, and build all of our iron gates to last. No matter what your preference, we will design and custom-build the perfect iron gate for your Pacific Beach home or business. Whether you would like a simple iron entry gate, a beautifully-designed ornamental iron access gate, or a stylish but effective iron security gate, we'll be able to design, craft, and install a gate that meets your functional needs and enhances the appeal of your home's or business's exterior. We offer solid and tube steel, galvanized and metallized treatments, and hundreds of powder coat finishes. In addition, for our motorized iron access gates in Pacific Beach, we will install your the gate operator system of your choice. We also can install card readers, keypads, telephone entry systems, intercoms, and other access control systems. For more about our custom ornamental and wrought iron gates for Pacific Beach customers, give us a call. At B.A. 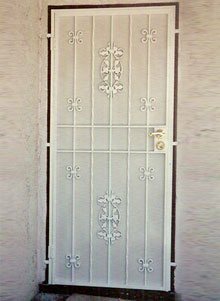 Ramirez & Sons Ornamental Iron Works, we excel at installing and repairing electric/motorized gates for residential and commercial applications. We can construct nearly any gate design by hand-forging and/or welding our moderate to heavy grade steel. We are experts at making everything from cost-effective security gates to elegant and highly ornate, bi-parting driveway gates. To automate these entryway/driveway gates, we use the best gate operator systems in the industry, such as DoorKing, LiftMaster, and Elite. We can also upgrade any of these motorized gates with security access controls and incorporate safety features. As we regularly install a wide range of electric gates, we're also well qualified to repair any major brand of gate access system, as well as replace any gate part. Contact us today for a free on-site consultation or online estimate. When you choose B.A. Ramirez & Sons Ornamental Iron Works, Inc. to craft and install your home or business iron fence, you are are certain to be delighted by our affordable prices, quality craftsmanship, and superior customer service. 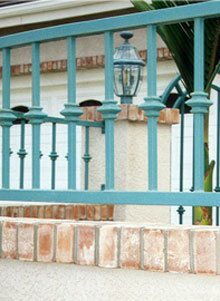 We have been building and installing ornamental and wrought iron fences for our Pacific Beach commercial and residential customers since 1980. Our iron perimeter fences are perfect for yards, gardens, patios, pet areas, pool enclosures, and other outdoor areas, and help Pacific Beach clients add simple, elegant style to their homes, residential communities, and commercial buildings. We also offer iron security fences which can be enhanced with spear-topped or spike-topped pickets, as well as iron gates and motorized access systems that will further deter unwanted visitors. We also offer repairs on all types of iron fences in Pacific Beach. Whether your fence has been subject to an accident, or whether it is simply time to have your older iron fence replaced, our experienced, expert craftsmen are on call to perform full-service iron fence repairs and replacements. Contact us today for a free online estimate. At B.A. 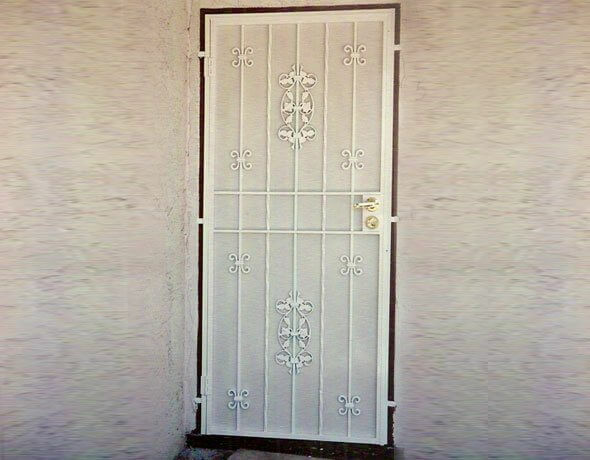 Ramirez & Sons Ornamental Iron Works, Inc., our highly skilled craftsmen can custom-design, build, and install gorgeous and lasting iron doors and window guards for any type of property in Pacific Beach. Our custom iron doors feature durable steel frame construction with hand-forged iron bars or scrolls that are designed to keep unwanted visitors out while giving your home or business's facade a sophisticated look. Our iron doors can be installed directly in a door frame of any shape or size, or installed within a portico, a few feet away from the front door. Window guards can be installed on just your first floor or on all of your windows. They can also feature scrolls, smooth or hammered bars, and decorative cast iron elements, but always are built with a quick-release mechanism for emergencies. Call today for a free online estimate. 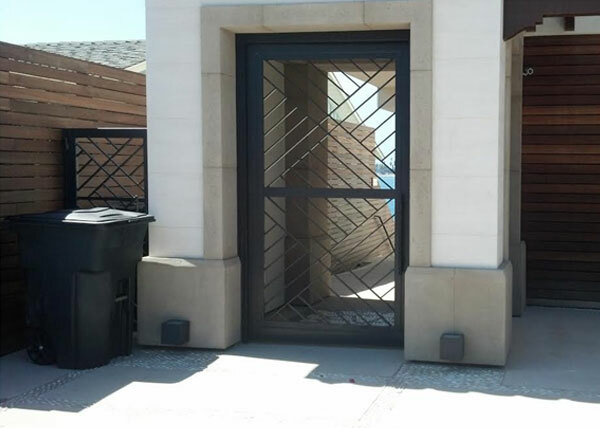 D2 We designed this entry gate in Pacific Beach, CA with security in mind. B.A. Ramirez & Sons installed this modern steel security gate at the entrance to a condominium. F12 This Spanish style steel fence in Pacific Beach, CA was custom built to fit between 20" high columns. The arch of the fence is proportional to the height of the columns. BA Ramirez & Sons built this steel fence using steel tube and aluminum castings with cast iron decorative knuckles then coated it with zinc and a white powder coat finish.